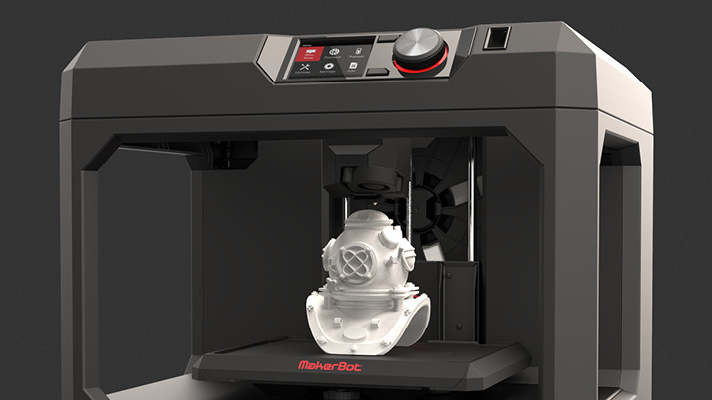 There are likely few in the product design world who don’t know MakerBot Industries. They were one of the pivotal players in the open-source 3D printer movement, building interest in the technology and helping a broader audience become familiar with the possibilities 3D printing offers. With the growth of the company came the growth of their product line. 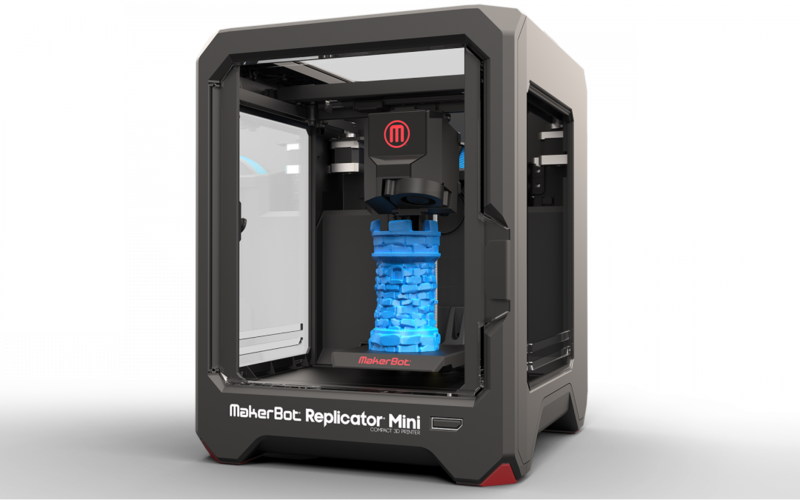 They are now in the 5th generation of their flagship MakerBot Replicator product, with five other products rounding out the options for both 3D printing and scanning. A striking visual presentation of the products was needed from concept design to marketing imagery. MakerBot turned to KeyShot to deliver renders that help communicate their ideas internally and define the image of 3D printing to the world. We talk with their design crew, and find out exactly how they use KeyShot to bridge the gap between virtual and physical. What would you say is unique about the approach to a project at MakerBot? With easy access to MakerBot® Replicator® Desktop 3D Printers, we have the ability to design and experiment with multiple concepts and iterations of concepts every single day. We’re capable of testing several ideas very quickly finding the most appropriate solution. 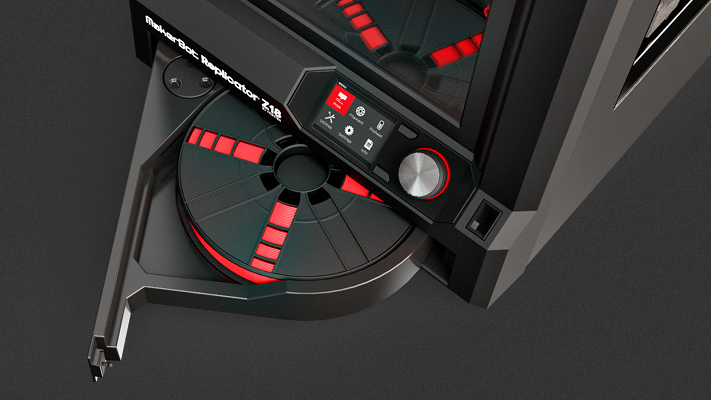 What is MakerBot’s primary 3d modeling software? Our teams use many different 3D modeling software products, depending on our needs. For engineering and product design, we often rely on SolidWorks. 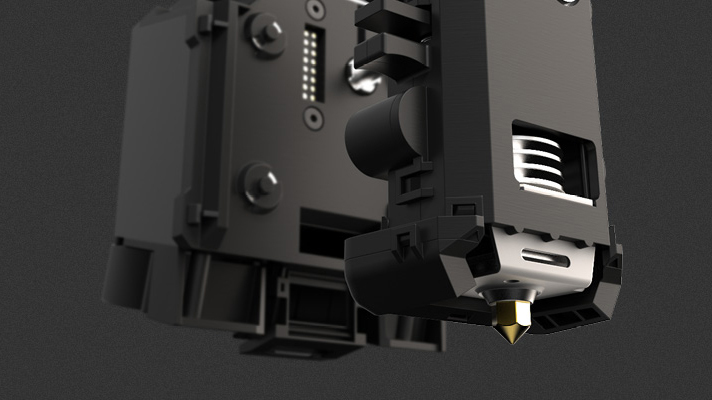 Designers at MakerBot use KeyShot to visualize concepts very early in the development cycle. With KeyShot we’re capable of evaluating a design in real-world lighting conditions. Seeing how the light plays on mechanical or aesthetic design features can inspire use to move forward in a direction we may not have considered otherwise. 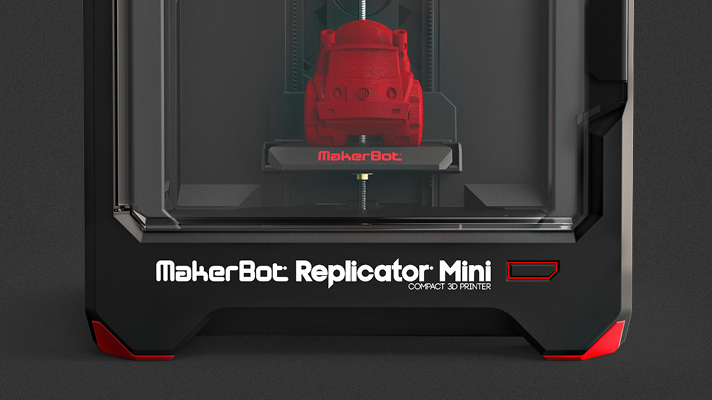 By combining the power of KeyShot with the rapid prototyping abilities of MakerBot Replicator Desktop 3D Printers, amazing things can happen quickly and efficiently. 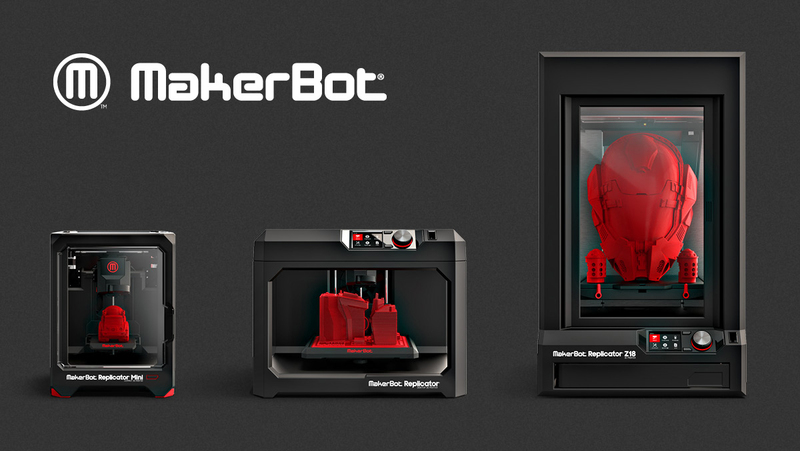 MakerBot used KeyShot to create marketing images for our 5th generation of MakerBot Replicator 3D Printers. KeyShot renders are utilized by our website as well as web and print ads. Previously we took photographs. Photo shoots take time to setup and are difficult to duplicate once taken down. With KeyShot we create view sets that make it easy to revisit lighting scenarios and update images on the fly. KeyShot has allowed us to create marketing materials with a quick process that saves both time and money. How do you find that the engineer/designer can complement the 3d print process with 3d rendering? 3D printing allows us to see and feel products earlier and more accurately than any other prototyping process. That ability is essential to our way of working at MakerBot. 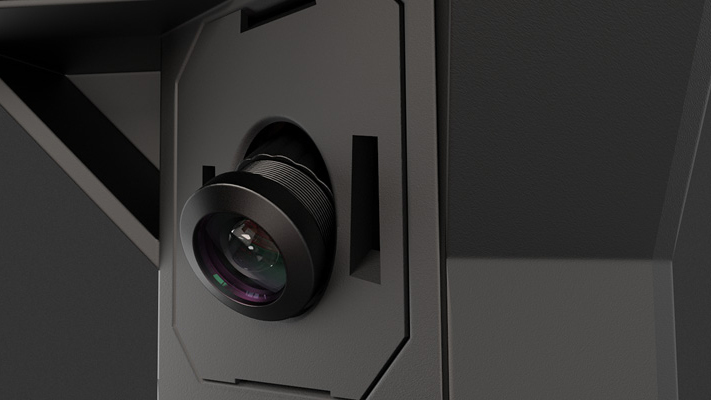 Adding photorealistic renders to the mix means fully realizing products at a conceptual stage. Presenting a 3D printed part along with these renderings to individuals outside of design and engineering allows our teams to communicate ideas faster and more precisely than ever before.